The Early Childhood Faculty work to create classrooms that are warm, beautiful and loving home-like environments, which are protective and secure, and where things happen in a predictable, rhythmic manner. The day begins with a period of free play. During this free-play time, the teacher is usually engaged in a task, such as preparing the dough if it is baking day, or the food for snack time. Each day of the week is identified by a particular ‘doing’ activity such as baking, gardening, painting, or a seasonal handicraft. The children are welcome, but not required to ‘help’ with the activity and they are expected to engage in the activity only for as long as their interest lasts. In all these activities the children learn by example, finding their way in to the experiences at their own pace. In this way the children learn to explore and be creative while acquiring a love of work. This manifests itself in an increasing of self-reliance and calm industriousness when the children are engaged. The teacher initiates the next phase by beginning to clear the things away and the children join in helping each tool or object to find its place on a shelf or in a basket – sorting, matching, folding and stacking. Clean up is an important task and it is done in such a way that it does not occur to the children that this is something that spoils their fun or is a tedious chore. It is done out of imitation of the adults and more experienced children, and soon becomes part of the rhythm of the Early Childhood day. 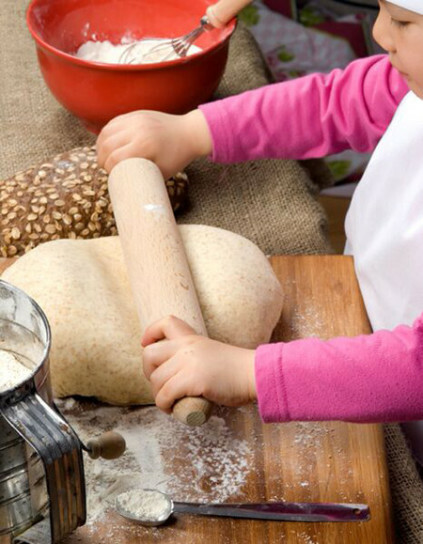 Children are actively engaged in the preparation of snacks by washing and chopping vegetables, baking bread. 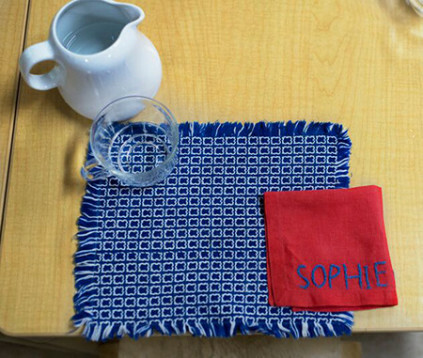 Children take turns setting the table with place mats, cutlery and a vase of flowers. A variety of healthy organic snacks such as bread, fruit, rice or soup is placed on the table and everyone gathers. Meal times offer an opportunity to develop good habits, social, communication and mathematical skills, and to cooperate in setting the table, partaking in conversation and listening to the comments of others about various bits of ‘news’. When snack is done, children take turns washing, rinsing and drying dishes, bowls and cups for the entire class. Children in our Early Childhood program are “helpers” and see themselves and what they do as important to others—thereby enabling them to notice and appreciate how what others do affects them.